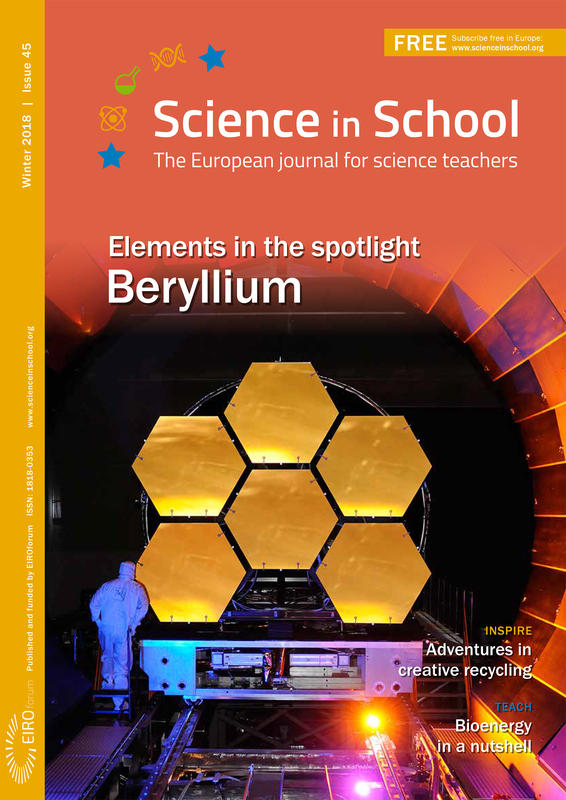 Science in School is a European journal to promote inspiring science teaching. It covers not only biology, physics and chemistry, but also earth sciences, engineering and medicine, highlighting the best in teaching and cutting-edge research, and focusing on interdisciplinary work. The contents include teaching materials, recent discoveries in science, education projects, interviews with young scientists and inspiring teachers, book reviews, and European events for teachers and schools. Originally supported by the European Commission, Science in School is published and funded by EIROforum. The journal is freely available. Online articles are published in many European languages and an English-language print version is distributed across Europe.